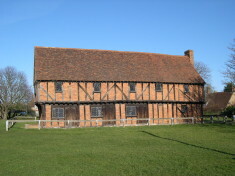 Bedfordshire Historical Record Society (BHRS) was established in 1912 as a focus for the study of Bedfordshire history. For a full list go to the Publications pages. a collection of guidance notes on sources for Bedfordshire history. A collection of about 2000 books and journals was left to the Society by its founder, Dr G. H. Fowler. After only being accessible to members for many years, it is now housed in the Library of the University of Northampton, making Dr Fowler’s wide-ranging library available to all. The AGM is held in September and is followed by a lecture, usually on the subject of the new or forthcoming annual volume. Non-members are welcome to the lecture. The Society and this website is run by a group of volunteers. We’re always interested in new members, so if you’re interested please contact the secretary.